WHEN GOOD, BETTER AND BEST ARE NOT ENOUGH, LET AN "EXPERT REALTOR" SHOW YOU AROUND! Hello and thank you for visiting my Web site! I have lived in Baton Rouge for more than 30 years. I received a B.A. degree from Northeast University at Monroe in English 1974; M.Ed. from LSU Baton Rouge in Administration/Supervision 1978; and an Ed.S. degree from LSU Baton Rouge in Psychology/Media Communications 1980. I have done other post graduate work at Stanford University in California, St. Ben's in St. Benedict, Louisiana, and St. Thomas University in Texas. 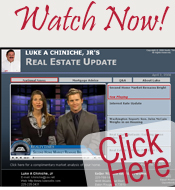 Everything you need to know about buying or selling a home can be found here on my web site. Because the real estate industry is becoming more sophisticated and challenging every day, you need a professional who understands this changing industry and is positioned to stay ahead of the market. Professional service with a personal touch is what I pride myself on providing to my clients. I am constantly researching the market and property values to ensure that your home is priced effectively from day one. Marketing your property effectively and creatively is crucial in helping you sell your home. It is my goal as your full service real estate agent to help you with any of your real estate needs in East and West Baton Rouge, Praireville, Zachary, Gonzales, Port Allen, Addis, Brusly, Plaquemine, Walker, Denham Springs and the surrounding areas. (Ascension, East Baton Rouge, East Feliciana, Iberviille, Livingston, West Baton Rouge, and West Feliciana. ) I will provide you with superior service at all times. My local expertise and extensive real estate experience will benefit you whether you are serious about buying or selling a home at this time, or are a returning client checking out the many homeowner resources I offer. I pride myself on providing unparalleled service and look forward to developing a long-term relationship with you. Please feel free to contact me if you would like to discuss how I can best assist you with your real estate needs. The "Relationship Realtor"--Professional Service with a Personal Touch!